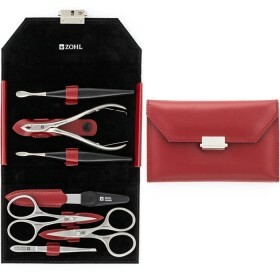 Needle-like, extra fine cuticle scissors SHARPtec Duo by ZOHL are a gem for those who like the best nail care tools close to their skin. 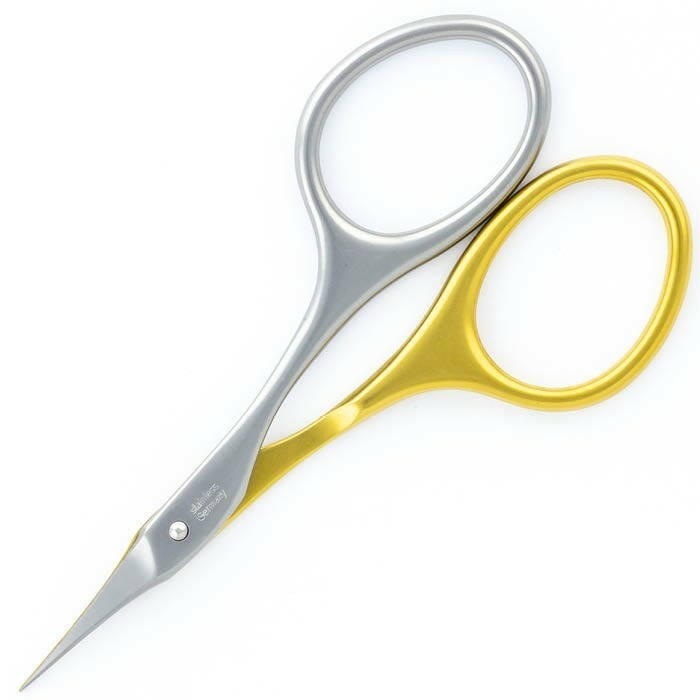 These Solingen cuticle scissors are designed to work beautifully, and they last twice longer than other German scissors. 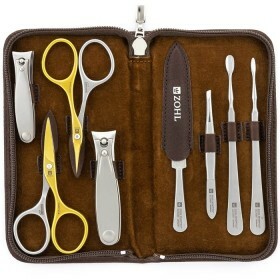 Their special feature is self-sharpening effect thanks to the strong titanium blade which primes the other blade with every opening and closing of the scissors. 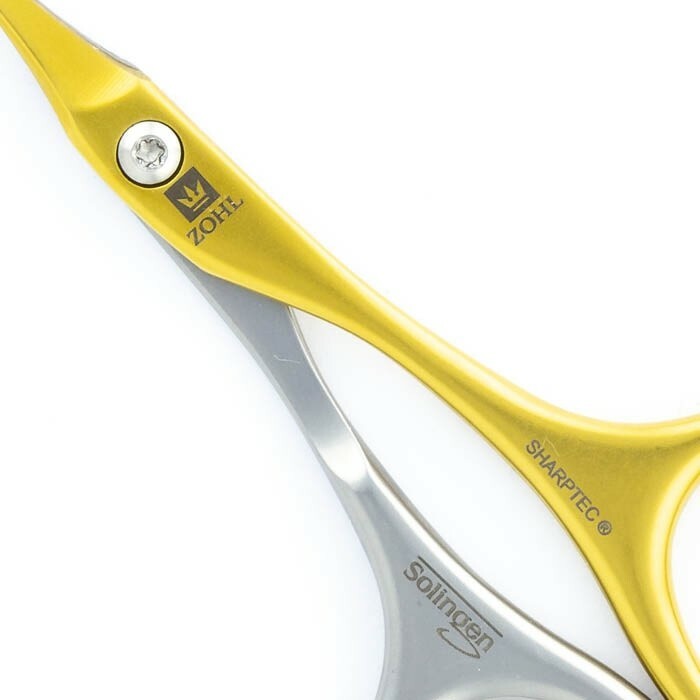 This means that SHARPtec Duo extra fine scissors are perfectly sharpened every time you need to cut your cuticles. 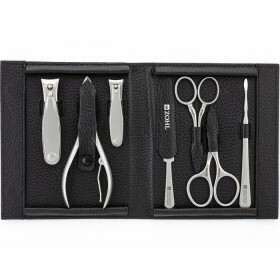 Made in Germany from surgical stainless steel and boast curved edges for the most precise cuticle trimming. Length 9cm. 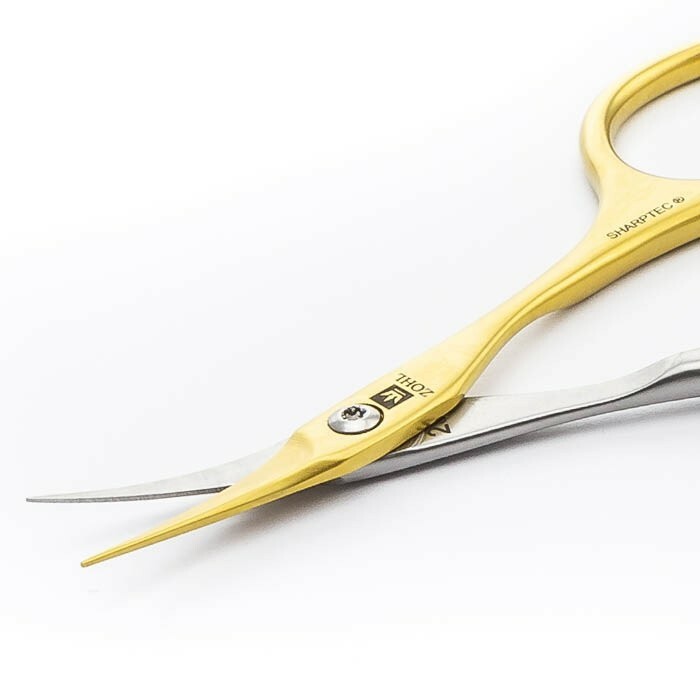 Among the best cuticle scissors, Solingen scissors SHARPtec Duo with super fine blades are an exclusive masterpiece to add to your manicure kit. They are hand crafted in the old city Solingen in Germany – the homeland of the world's best manicure and pedicure instruments, kitchen and hunting knives, and other cutlery that is made to last. 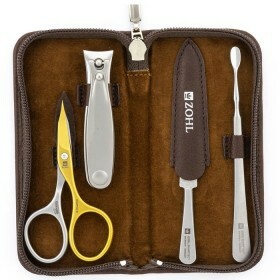 Solingen know-how is carefully protected by the German Government and by buying authentic Solingen manicure scissors ZOHL, you are investing in long lasting service guaranteed to work perfectly for many years ahead. 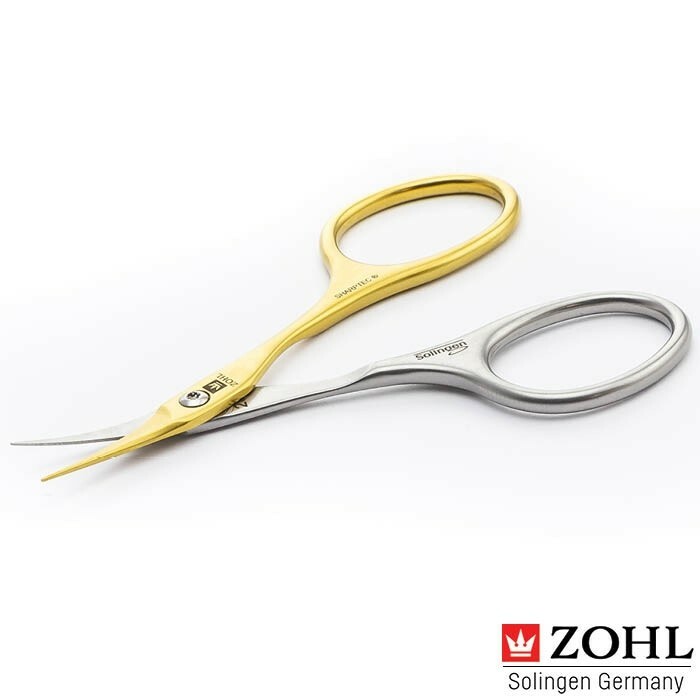 Like all ZOHL nail instruments, SHARPtec Duo cuticle scissors are also made of surgical stainless steel and retain the cutting edge for a long time without any need of sharpening. 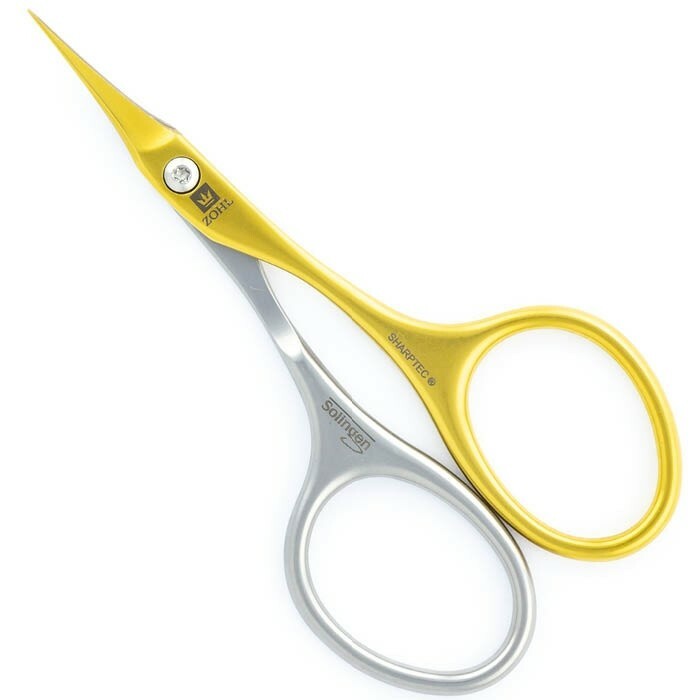 For added benefit, the luxury golden blade is made of titanium – a super strong metal which primes the other blade, thus keeping the scissors beautifully sharp and precise for the most enjoyable cuticle care. 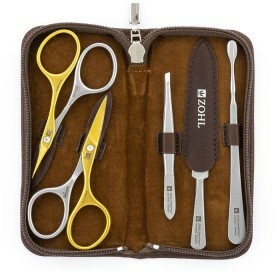 This self-sharpening effect makes ZOHL the best cuticle scissors for those who want to have the highest quality pair of scissors, to enjoy for a lifetime. Advanced ergonomic design ensures the scissors are well balanced in the palm for the most comfortable handling and maximum control.